I think it may be said that the crispy prata is unique to Singapore. In Malaysia, Roti Canai is usually the soft, fluffy type. Only in Singapore do you find the crispy style prata which has long been associated with Jalan Kayu. The prata stall in Jalan Kayu which made crispy prata famous was Thasevi’s. It was back in the late 80’s that they came up with their unique style of crispy prata which was super crispy on the outside while still fluffy on the inside. They were also notoriously small! When I wrote about them back in 2007, their popularity had already started to wane and the pratas weren’t the crispy, frisbee like pratas that is commonly identified as crispy prata. The other trend that has been happening in Singapore’s prata scene is the emergence of factories from whom the prata dough making process can be outsourced to. I am not sure if this is as prevalent as it is in Malaysia, but many of the prata stalls in Singapore have found it more practical to buy ready made dough than to make it themselves. This is a trend which I hope will peak and start reversing or soon we will all be eating only generic factory made prata! I am always on the lookout for young prata hawkers who take pride in making their own dough. Every time I visit a new prata shop, I always have a peek behind the stall to see if I can detect signs that they make their own prata dough. One of the things to look for is the presence of huge sacks of Ikan Terbang Flour, the flour which is made by Prima Flour Mills specially for Roti Prata. The other thing is to see if the dough comes out of a cardboard box with the name of the factory printed on the outside or a generic plastic box which usually means that they have made the dough themselves. Of course, homemade dough doesn’t necessarily mean the prata is going to be of exceptional quality, but it does at least give an indication that the prata hawker is taking his craft seriously! Great place to re-discover the crispy Jalan Kayu style prata! Kudos to Asraf for his persistence in preserving his family recipe and for making his own dough! We need more prata guys like him who are still making artisanal prata to stem the trend of generic factory made prata dough! Sorry I beg to differ. The original Thasevi pratas were not the crispy type, they were soft and fluffy. 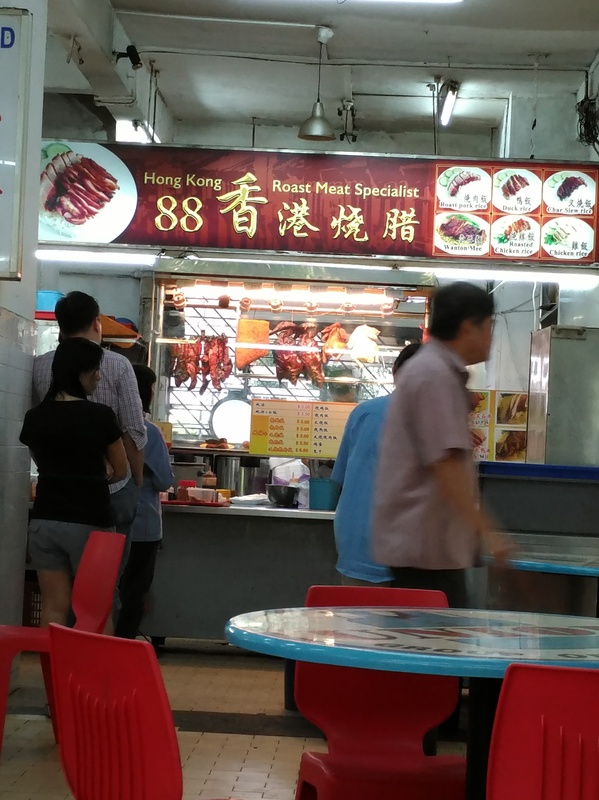 I started eating there more than 30 years ago when they were still at Tong Lee Rd. I agree with Richard, the pratas that I have had many years ago were soft and fluffy which I love and not crispy type that many are raving over. Those days the chef would “mash’ the just fried prata between their palms before putting on the plate then serving it to you. This way it is never hard and crispy. Hi lucyng, after reading your comment I make a beeline there. Roti was good including mutton curry. Tried the fishballs soup, will be back for the noodles soon as it was good. Packed the beef rendang and sotong hitam; just say I will be back for more. Two other stalls there look interesting. Fishball soup at a roti prata stall? Home » Location » 8 Telok Blangah » Master Prata.com: Crispy Jalan Kayu Style Prata!